If Stephen Hopkin’s Under Suspicion were a meal I was served at a restaurant, I would throw it against the wall, flip the table, walk promptly back to the kitchen and knock the chef out cold. It’s a hollow, pointless piece, like digging into a pie that’s put before you only to find that under that layer of crust there’s no filling, only air. The premise is promising: wealthy businessman Gene Hackman who has political ties is grilled out of the blue by longtime friend and police detective Morgan Freeman and his partner Thomas Jane, regarding the murder of a thirteen year ago old girl in the slums of San Juan. Hackman is a successful, assured alpha socialite, and these type of men always have some type of close guarded secret which comes to light. Freeman is a dogged working man who probes him until it almost seems personal rather than routine. Sounds terrific, right? You would think. The acting is of course fine, as these guys couldn’t miss a beat if they tried, but the way the story is set up just rips the viewer off blind. These two thespians soar spectacularly, but their duel is structured around purposefully unreliable flashbacks, beating around the bush and oodles of red herrings that treat the audience like sixth graders watching a low rent magician at a birthday party. 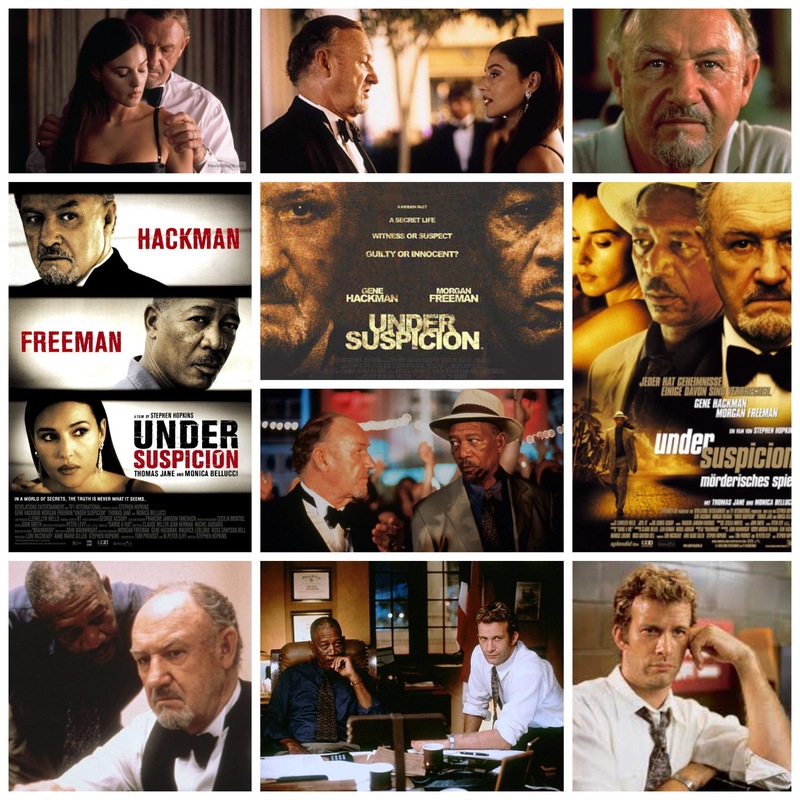 Hackman has a pretty trophy wife (Monica Belluci, underused) and a host of personal demons that he projects onto Freeman’s simple blue collar rhetoric like a defence mechanism. None of these narrative fireworks can save it though, especially when an ending rolls around that is the very definition of a letdown, through and through. In an attempt to explore the forces that drive a man to the edge of admitting guilt whether he is responsible or not, the filmmakers miss the boat on providing a focused treatise that takes itself seriously with these potentially fascinating themes, instead settling on an overcooked, ultimately vacant that could have been so much more.